This was my first experiment with my leftover double cream. I figured: if a recipes says “cream the butter” and butter is made of cream … well, it can’t go that far wrong? And I was right. A little less light than a regular sponge cake but still rich, delicious and cake-y. If you have say 100ml of cream just whip it and use a combination of butter and cream. 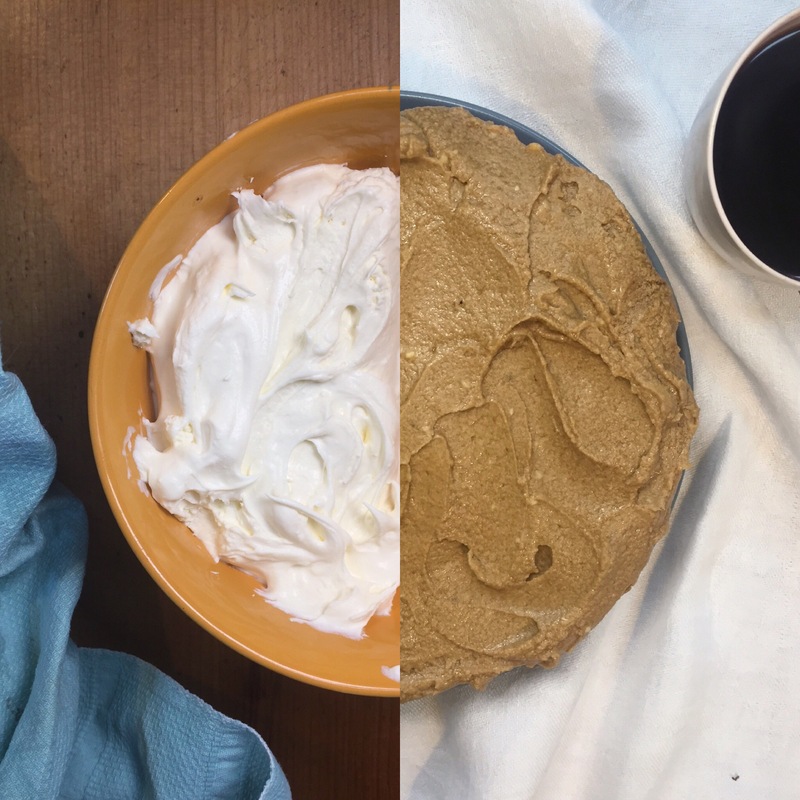 Some people might say that making a cake with this leftover cream is more wasteful, as we’re using more sugar, more flour and butter. I argue that if you buy a cake, or biscuits or anything sweet that this is a good use of potential bin fodder. As long as this cake gets eaten, you’ve used the cream to make something new. And that is a wonderful thing. I was pretty stumped when I had 500g of leftover cream. 500g! Half a bloody kilo! So first off, proof that it’s only worth buying food when you know what you want to do with it. But when I thought about it as “thick milk/almost butter”, I freed up my brain to think: what is creamy? What’s nice with cream. Just stirring some meringues in, or making into ice-cream sundaes would be great. If you’re not going to eat within 24 hours, I’d cut this into pieces and freeze.